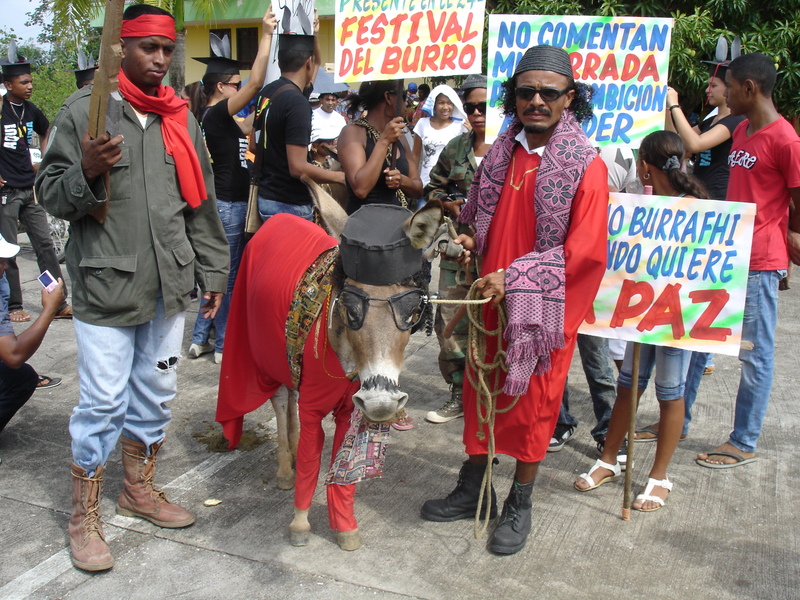 As promised some pictures from the Donkey festival in San Antero, Colombia. Burrafhi (Donkdafi) won, you’ll see who it is. Enjoy! 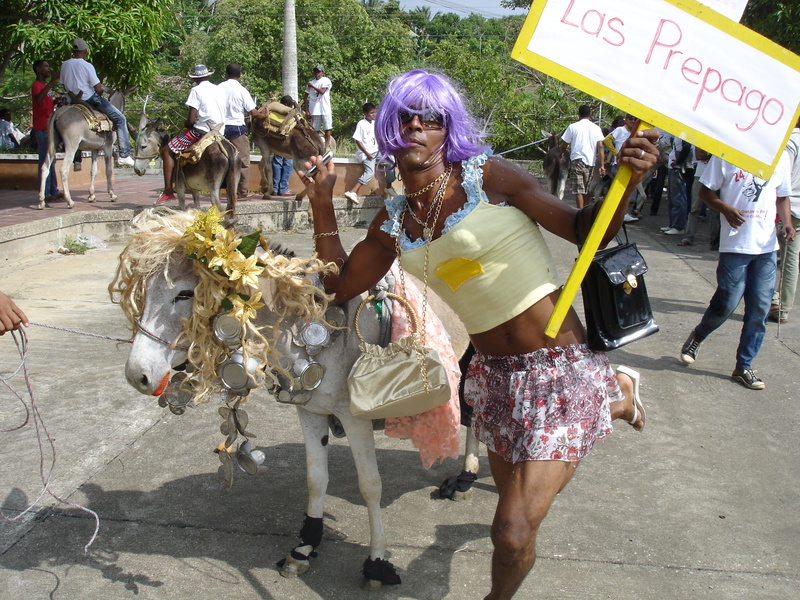 Peasant Alcides Anaya with his donkey Renault 4. He'll be honoured during the festival. He’s going on 65 but looks 10 years younger, the inventor of San Antero’s Donkey Festival, Cristobal Correa, teacher in the village and room renter in nearby tourist hub Coveñas. 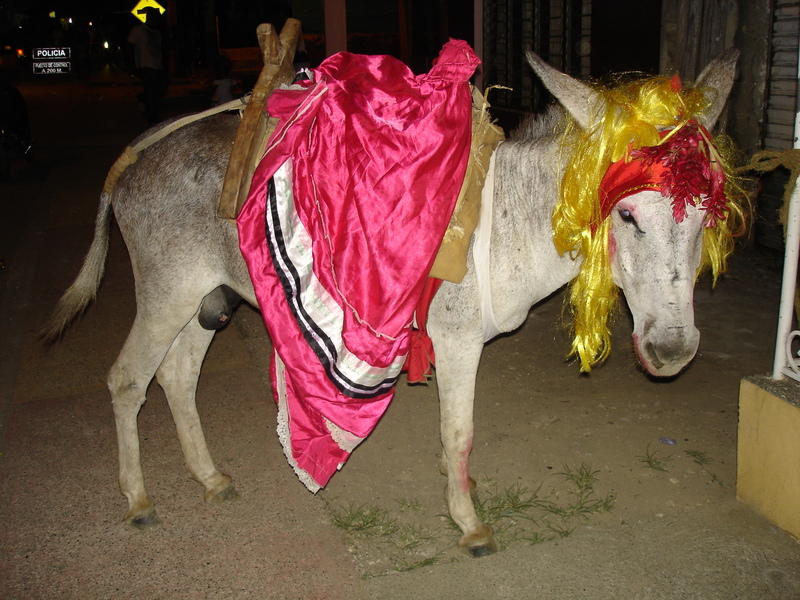 The donkey has to be revaluated, he stresses. “We have denigrated it too much, kicking it and calling it stupid and stubborn”, he says. 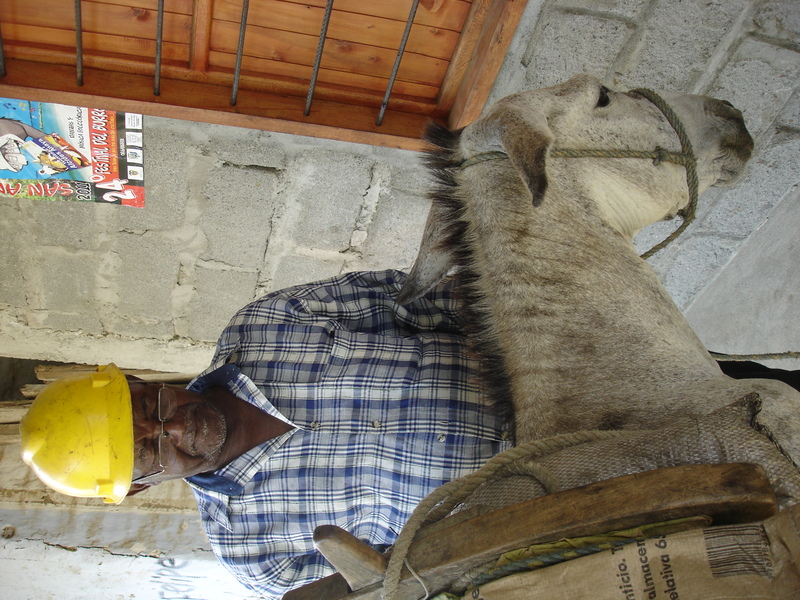 I tell him these days I’ve hardly seen donkeys in the village. Mostly motorcycles and quite a lot. “Those motorcycles do well on paved roads”, he smiles, “but on tiny paths up hill they’re useless. 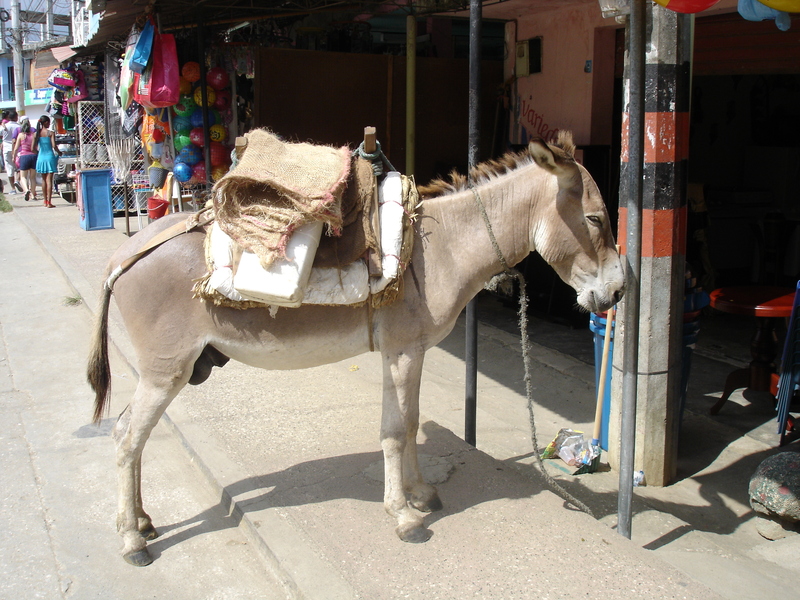 You do need a donkey! 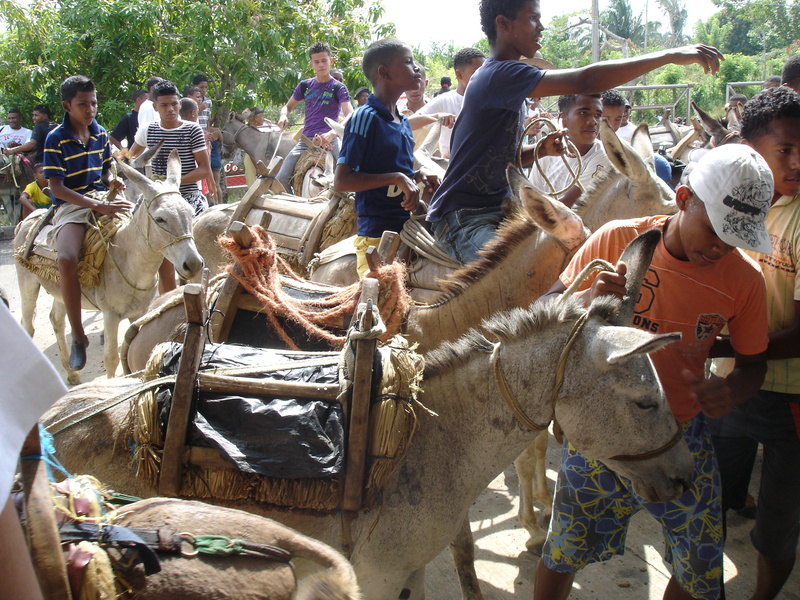 There’s something special about San Antero’s Donkey Festival this year: it can be truely celebrated. Why, would you say, what nonsense are you talking? Well, it isn’t. Yesterday the mayor told me in 2011 there haven’t been any killings yet in the village. I didn’t believe him. This area on the coast of one of Colombia’s most violent regions, Córdoba, where drugs transports leave every day, cannot be suddenly peaceful. Yet it appears he wasn’t lying.